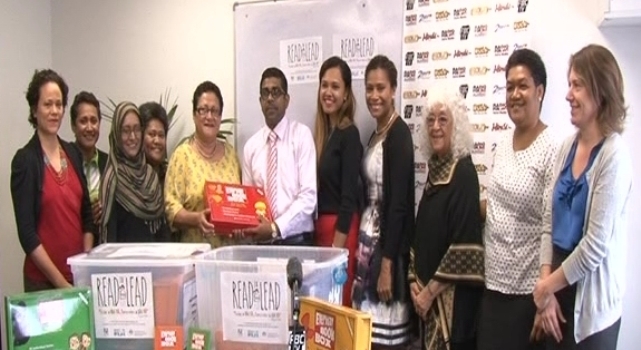 Vision Fiji has donated story books to FBC’s locally produced show Just Kids. Vision Fiji is a NGO which promotes children’s literacy and developing the foundation for learning through engaging teachers, parents and the community. The group’s chairperson Lynda Tabuya says children are the future and reading is something they should continue to do. ‘’We have always recognized the value that media adds. Children watch children programmes on TV and normally books are being read to them and they love reading. Children will be able to connect with books when they read’’. She says their pilot project has covered 330 schools in the country so far. Tabuya is urging NGO’s to come forward and support their pilot project.